Kellogg is digging into its bag of tricks to get Americans excited about cereal again. 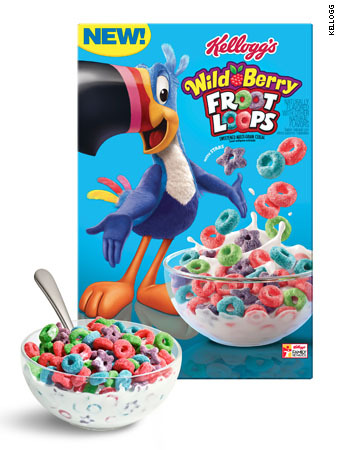 Instead, Kellogg is trying to rebrand cereal as an anytime-of-day meal that fits in the morning, as an afternoon snack or an evening desert — "Whatever Froots Your Loops" is the new tag line for the Froot Loops brand. It is selling bagged cereals to make them more snackable. "The companies are likely diversifying their marketing strategies to try to capture new occasions," AllianceBernstein analyst Alexia Howard said. "Everybody is trying to reposition themselves into the snacking space." Kellogg's new Fruit Loops flavor is Wild Berry. By putting a new spin on fading childhood breakfast staples, Kellogg is playing on customers' nostalgia. It hopes people who haven't thought about Toucan Sam in years may come back to try the brand again. Kellogg isn't the only company trying this strategy. 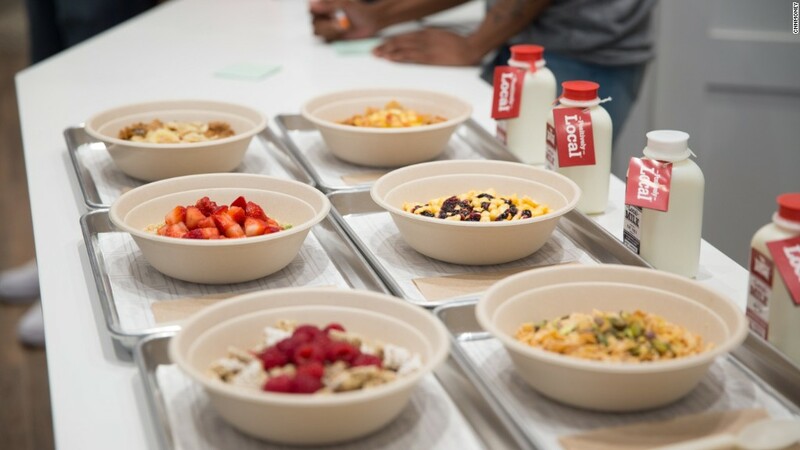 More Americans are swapping out a bowl of cereal in the morning for protein and fruit bars, and on-the-go yogurts that offer more convenience and less sugar, according to Euromonitor research Ana Sepulveda. 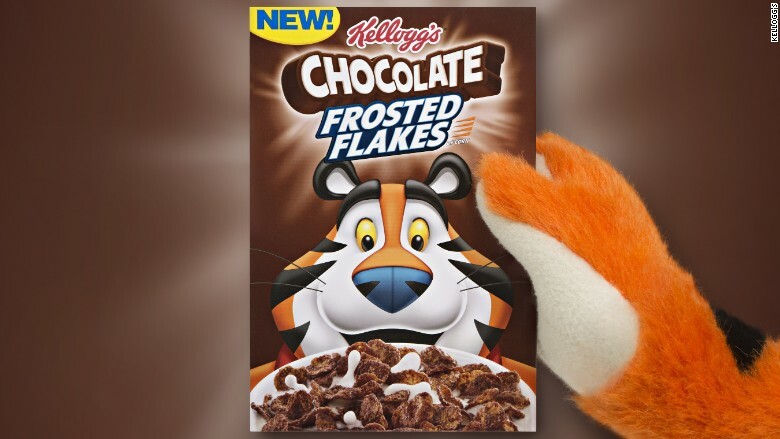 Kellogg's Chocolate Frosted Flakes debuted in 2017. Millennials have been at the front of the shift to healthier and more portable snacks, and companies have expanded their lineups in recent years to spark growth. 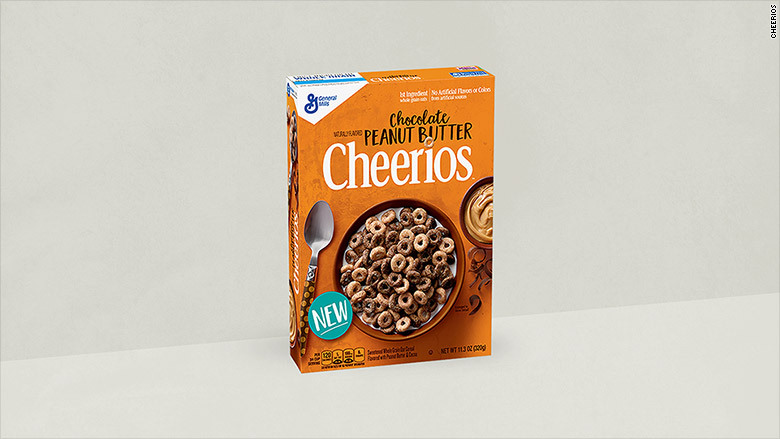 Chocolate Peanut Butter Cheerios, anyone?